Kiefer Sutherland returns as Jack Bauer in "24: Live Another Day"
Fans of the critically acclaimed TV series '24'will be happy to know that Fox has decided to bring back the show and will be airing 12-episode mini series dubbed "24: Live Another Day." The series will premiere on Sky 1 in May. The Emmy winning series that was cancelled after eight seasons (192 episodes) picks up four years after the 2010 season finale when viewers saw Jack Bauer (Kiefer Sutherland) on the run and being hunted by the CIA. "I'm about as anxious and wound up as I've been in a long time," Sutherland told the Television Critics Association. "There's a great impetus for all of us to create something new with the show." The show will be set and shot in various locations in London this February. "Things will be blowing up — cars, double decker buses, things like that," said Sutherland, who was born in London. "I'm sure we'll be hated by a large portion of London for snarling up their traffic here and there, and for that I apologize in advance." Mary Lynn Rajskub will return as Chloe O'Brian, William Devane reprises his role as James Heller, former U.S. Secretary of Defense and now is the U.S. president. Several newcomers have joined the cast, including Emmy winner and Oscar nominee Judy Davis and Yvonne Strahovski (Chuck, Dexter) who is cast as a CIA agent. Kiefer Sutherland said: "Hopefully, by the time you're finished watching an episode, you'll feel like you've been there… on the edge of your seat." The show will retain the real-time format with split screens and interwoven storylines and still cover 60 minutes of the action packed life of Bauer in each episode, but the new version will jump around the day. 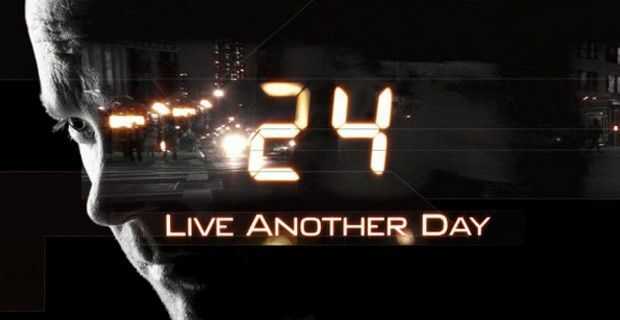 While 24: Redemption TV movie was released in 2008, another "24" movie has also been bandied around for a while. If this ends up rebooting the show or causing a film to be made, so be it, but we're very happy about these 12 episodes right now," said Sutherland. "The script for the film is very different. It's an ongoing situation, and there's always an opportunity to do it."